Motherhood is undoubtedly the most rewarding role for a woman. 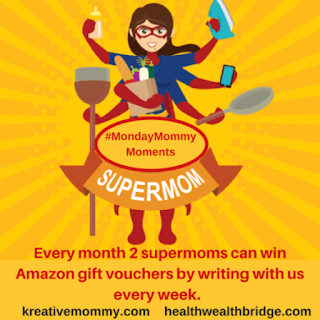 Motherhood keeps reminding that you created a miracle in the form of your kid. This is no less than a boon that mothers all around the world cherish and treasure. Being a mother, I also bow down to the powers that motherhood has given to me. Things which used to look difficult before my son's arrival in my life, are now in my hands. And Day by day I am establishing my command over them. During the 8th month of my pregnancy, I went to my parent's place. The whole month before my delivery went absolutely awesome and emotional. My mother used to share with me my childhood incidents. Some of them were funny and a few of them were gross. There were many good things about Motherhood that my mother told me. She tried to make me positive for the arrival of the new member. And I would give her 100 out of 100 for her efforts. I was very optimistic about my normal delivery and postpartum happenings. 1. As a mother, you feel okay with pukes and poops: First absolute truth. Suddenly you start feeling normal when your baby pukes or poops in front of you. Slowly you master cleaning all kind of mess and your smell senses remain okay even when someone else is vomiting. Let me share with you one incident. During last winter, one day when I was heading to my office, my toddler vomited over me in the office bus. Suddenly everyone on the bus started feeling uncomfortable. They start opening the windows. Whereas I was absolutely calm and was trying to make my son feel better. All my bus mates started laughing seeing me sitting comfortably. I told them I am a mother. I can handle this. 2. The excitement of baby finishing the plate is no less than India Pakistan match: When babies start eating, as a mother you try different food options. Ready-made baby food and homemade recipes, you try all of them for your kid. As when you realize the baby actually likes what you cook, you feel overjoyed and overwhelmed. Honestly, I didn't try much for teaching my son good eating habits. Howbeit, my kind neighbours did a wonderful job. This I apprehended when one day I saw my boy having Chole Rice in my neighbour's house. By that time, I was giving him only Daal Ka Pani. My neighbourhood lady also told me that my son happily ate Aloo Ka Paratha in her house. And I was happy as a clam then. My son is 3 now and he eats his meals himself. He believes in finishing the whole plate and he even asks for a spoon if I forget to give him. This is so exciting, believe me! 3. You run out of answers: If you are guessing that I am talking about questions that babies ask as their inquisition about new things around them, then you are only partially correct. It's common to not have all the answers ready when your toddler start asking you so many things. But suddenly you don't give answers to what other family members ask. Sometimes you won't have answers for simple things like "Where are my shoes?" , "Where is my book?" And other times you won't have answers for huge things "What life skills should I teach my kid? ", "How can I be a better parent?". Even though you don't get answers, you go ahead and take decision for such huge life things. And for rest small question you give the standard answer "Mujhe nhi pata.."
4. You become Aunty to the kids of all ages: All the kids in my neighbourhood call me Aunty. This includes kids of same age group as my son's. And also the kids who are above 16. For all of them, I am now Aunty. Although I am okay with it and never feel offended by this world. But when you look at the parents of those teen kids, you think "Am I this much old?" And had to tab hai when in Metro all unmarried girls and boys address you as Aunty. Many times, I guessed those boys must be as old as I am. But because I am carrying a baby in my arms, they give me this title Aunty. 5. Motherhood is more beautiful than you imagine: Before becoming a mother, you read so much about motherhood. You understand so much about motherhood. You listen to your mother and other ladies of your family about how beautiful motherhood feels. But you fully understand the meaning of beautiful when you actually become a mother. kids can equally drive you insane and drive you to tears of love within a day. Motherhood is full of moments of love so deep that they touch you in our souls. The unconditional love that your kids give you makes you feel contented in life. 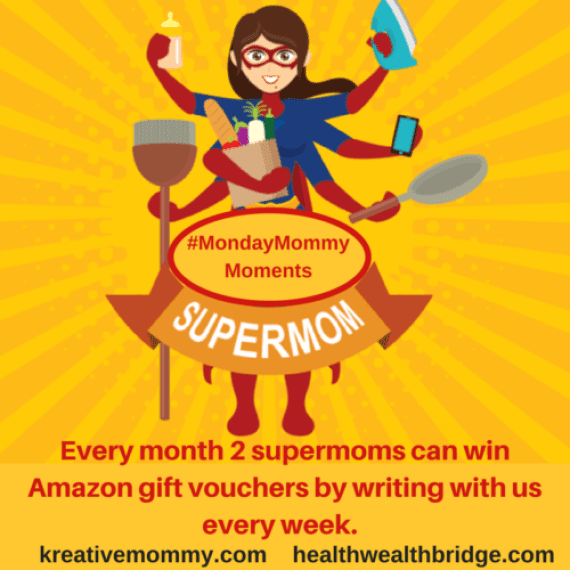 This post I have written as part of #MONDAYMOMMYMOMENTS.